Home - G.A. Systems, Inc. Welcome to G.A. 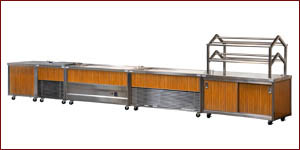 Systems, Inc.
Refrigerated Salad Bars standard sizes accommodate two to five 12″x20″ pans. Optional under-refrigeration available. 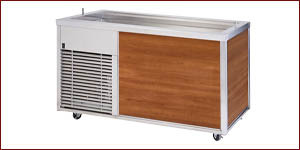 Refrigerated Drop-Ins are available in one to five pans. Ice-pan style available in three to five pans. 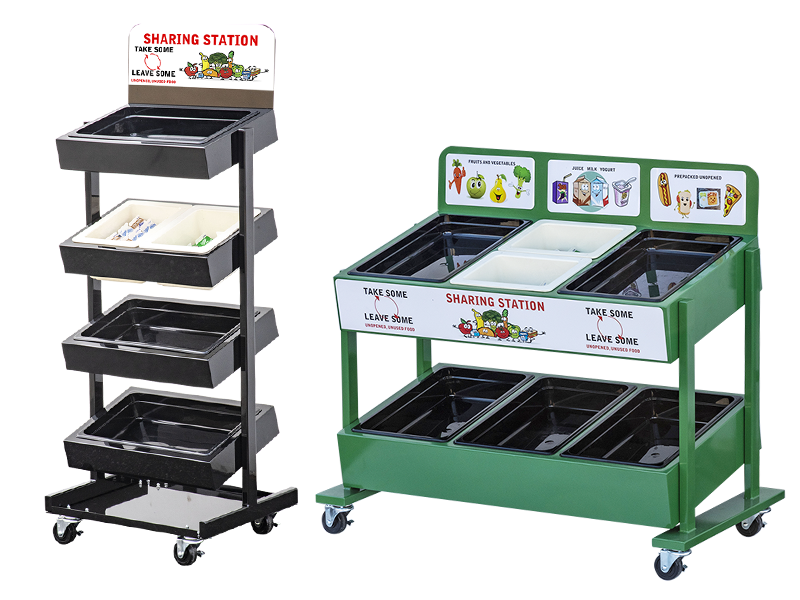 The Speedline Serving concept is proven to serve 30 students per minute. 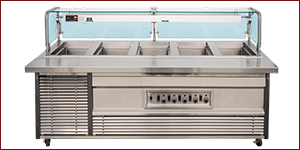 The Speedline Cabinets safely hold, display and serve prepackaged foods at required temperature. 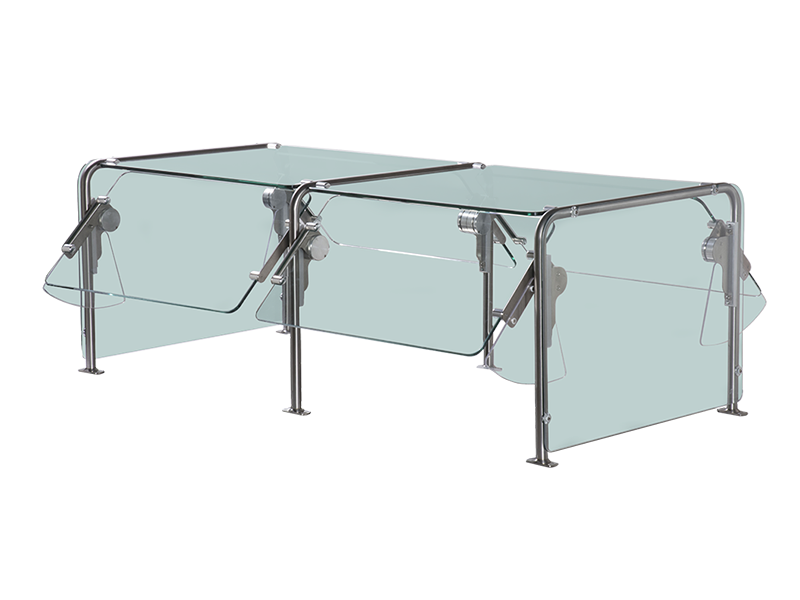 Options include high pressure laminate, stainless steel, powder coated, graphics and more. 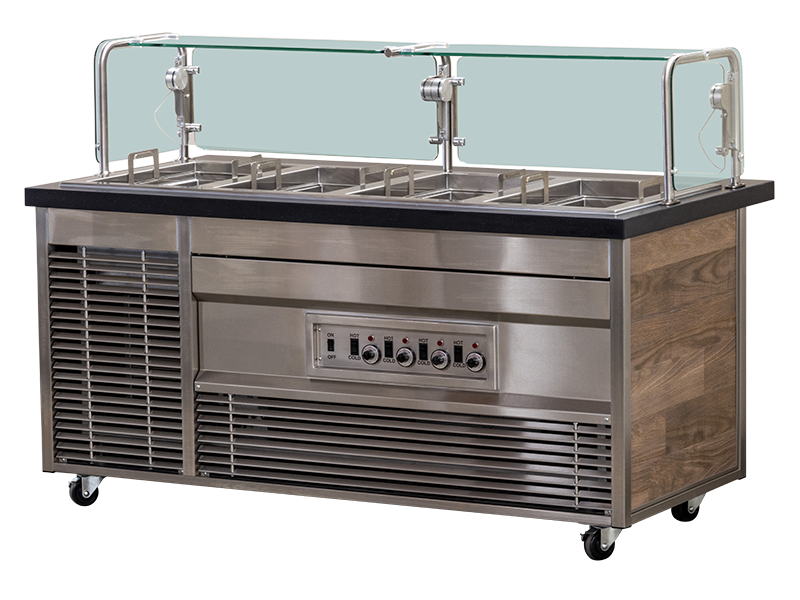 Hot Cold Dual Operation Cabinets switch between HOT and COLD wells to allow flexibility with your daily menu. Standard sizes accommodate three to five 12″x20″ pans. HCDO Drop-Ins are available in one to five pans. Available in Slim-Line one to three pans. 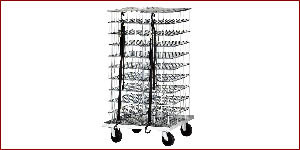 A variety of central kitchen products from wire baskets, transport dollies, food troughs and stands. Click Here for The News and Events Page contains current information about upcoming Trade Shows and Conventions.